As an authorised stockist of Totally Wicked, we stock what we believe to be the most eclectic and diverse range of quality electronic cigarette kits. 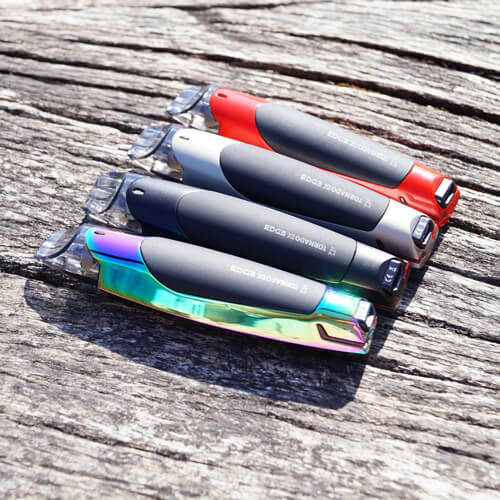 From simple entry level kits right through to more advanced variable voltage devices you will find a kit to suit you here. Our electronic cigarette kits contain everything that a new or experienced user will require to use the product directly from the box. We supply a large choice of pre-mixed e-liquids, ready to use straight from the bottle in a range of flavours and strengths. • UK and USA manufactured e-liquid. • Nicotine options from 0mg to 18mg. 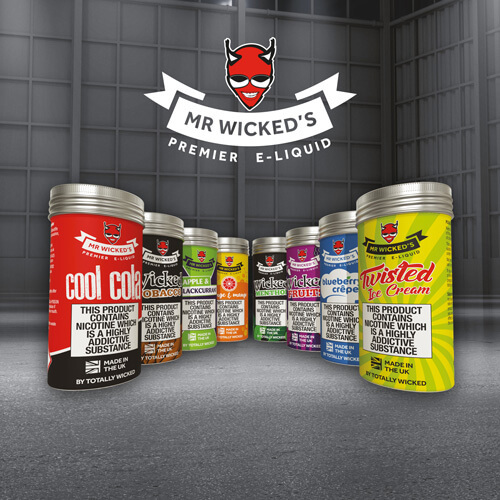 • Over 100 flavours, from traditional tobacco and menthol options, to fabulously fruity..
Based in the heart of Ramsbottom, Bury, Lancashire, we are an independent store providing the world’s premier electronic cigarettes and e-liquid by Totally Wicked. With such a huge range of devices on the market, we offer advice and a personal service to enable you to find the right kit for your needs. We don’t sell online, so pop in and try the range of devices, flavours and strengths on offer.. When you shop at Totally Wicked Ramsbottom, you can collect reward stamps. One stamp is rewarded for every £5 spent, once you have collected 10 stamps you can claim a 10ml bottle of e-liquid of your choice! These products are not suitable for anybody under the age of 18, and not for use by non-smokers.